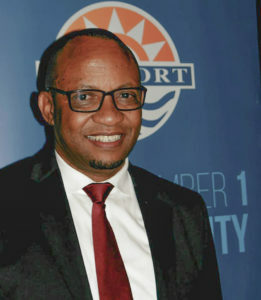 THE solid foundation laid over the past ten years in building the Namibian Ports Authority into one of the most profitably state-owned enterprises in Namibia under the outgoing Chief Executive Officer should be used to make the country’s plan to become the main regional logistic hub a tangible reality. Staff and stakeholders of the Namibian Ports Authority held a farewell ceremony in Walvis Bay for Mr. Bisey /Uirab who is set take up his new position at the head of the Namibia Airports Company at the beginning of May. During his farewell address Mr./Uirab said the current economic downturn is an opportunity that should be used as the strongest possible motivator for people to innovate. 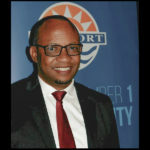 Under /Uirab’s guidance over the past ten years, Namport managed to increase its revenue exponentially and with the new port developments scheduled to come online later this year the company can achieve its goals of becoming the logistics service provider of choice. The new container terminal is set to be inaugurated during August this year and the north port oil terminal development will be made operational in 2020. Mr. /Uirab said Namport has not only invested heavily in the establishment of new and modern infrastructure but also into the development of its human resources. Besides sending several employees on courses at education institutions all over the world the ports authority also created a program which identifies potential and talent amongst learners who are still at school. Mr. /Uirab said it gives him a sense of immense pride to leave such a legacy to Namport and the community of Walvis Bay who welcomed him in their midst ten years ago.